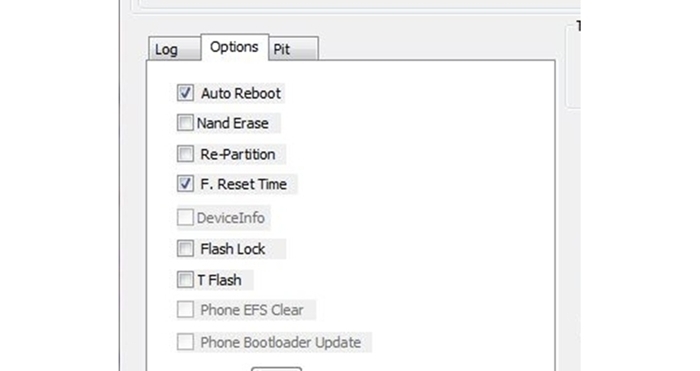 DroidDosh.com - How to Upgrade Galaxy J7 Prime SM-G610F to Android Nougat 7.0 firmware. Samsung Galaxy J7 Prime Android Nougat Firmware is now available for download. The update is an official stable build and based on latest Android Nougat. 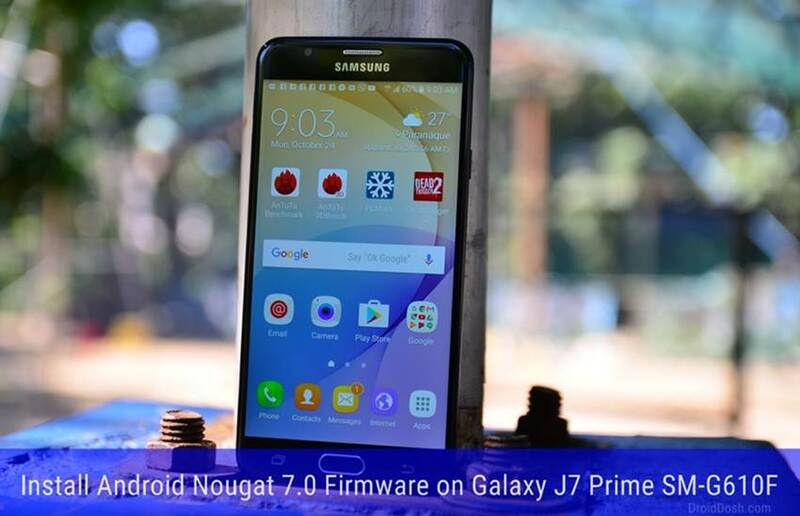 To install Android 7.0 Nougat update on Galaxy J7 Prime all you need is the Nougat Firmware file for Galaxy J7 Prime and the Odin Tool. You can now download the Galaxy J7 Prime Nougat Update from the link below. While the firmware installation procedure is the same for all Samsung devices, you must not try the firmware provided below on any other model of the Galaxy J7 Prime other than SM-G610F. 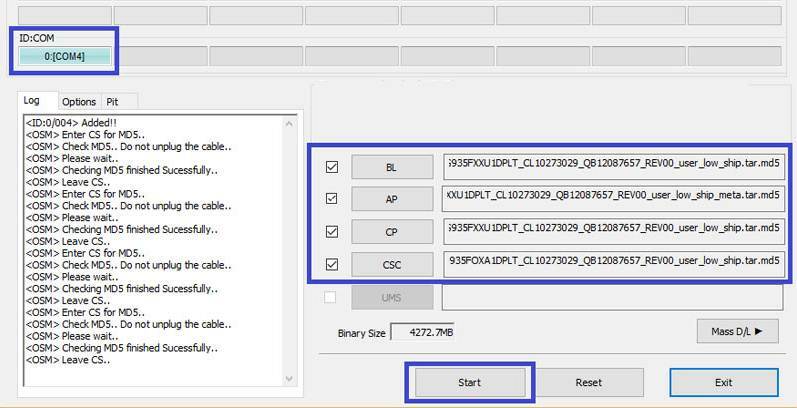 Go through all the preparatory steps before installing the firmware and follow the tutorial carefully. In case you have any doubts about anything, clear them first. Follow the tutorial at your own risk. This Firmware file is only for Galaxy J7 Prime SM-G610F. Don not try this on any other device. Make sure your Galaxy J7 Prime is disconnected from the PC. Then, boot your device into the Download mode. To do so, power off your device and then press and hold the Volume Down + Home + Power buttons at the same time. Keep the keys pressed until you see the warning screen and then press the Volume Up key to enter the Download/Odin Mode.